Stay on top of the latest residential & commercial remodeling trends. When you’re trusting an organization with an important project, like building a new wing of a hospital or renovating an iconic building on a college campus, you want to be sure you’re choosing a partner with the right credentials. Eco friendly construction is good for business and the environment. A successful sustainable remodel can save your business money and help you protect your community. In fact, a good sustainable remodel even gives local patrons a reason to choose that business over others in the area. 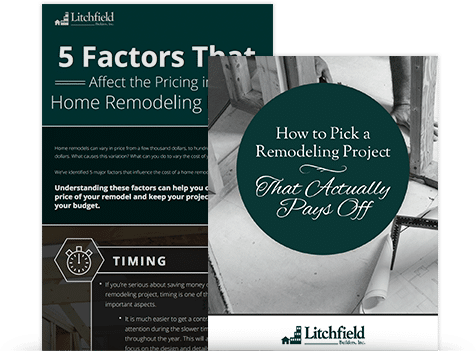 See how you can get the best return on investment from your next home remodel by knowing exactly what to expect and how to prepare. Though it's sometimes necessary, residential construction can be disruptive to households in the neighborhood where the construction is taking place. If you're a homeowner planning an upcoming renovation or remodel, it's important to do your best to minimize the noise and reduce the impact that construction will have on the people around you. Often there are even rules and laws to follow, and making yourself aware of the regulations is important. Remodeling can be a tedious process, with lots of planning and execution required. Mobile applications relating to home improvement can expedite the process and and may even make remodeling more fun for the homeowner. A commercial building contractor is a contractor that builds, remodels and renovates commercial buildings of all types, including office spaces, retail stores, restaurants, industrial buildings, factories and warehouses. Many business owners will at some point work with a commercial contractor to construct a new building for their business, or change an existing building to fit their needs. Home remodeling is a huge undertaking that requires a significant investment of time and money. Whether you're renovating your home to sell or you're just building the dream home you always wanted, residential construction can be a lengthy, involved process that requires a lot of preparation. If you're hoping to take on this type of project, now is the time to get started. The decision to renovate any business can be difficult for owners, who must look at the bottom line before making decisions. In general, restaurant renovations are done under one of two circumstances: when restaurant ownership changes, or when a current owner decides that the time has come to update the look and functionality of their existing restaurant. Custom millwork is hand-crafted woodwork used in structures like homes and buildings. Millwork can be found nearly anywhere, including in cabinetry, crown moldings, fireplace mantels, stair railings, bathroom vanities, window sills and in other areas. At one time, custom millwork was a standard feature included in nearly every quality home. Today, millwork is a unique detail that is sought by homeowners with an appreciation for tradition and fine quality materials. If you're trying to sell your house, you're probably looking for home improvement projects that can increase your property's value as well as its appeal to potential buyers. You may also be considering professional residential remodeling or construction. While an interior home remodeling project is a good idea, improving your home's curb appeal is equally important. Connecticut winters can be brutal! With an average low temperature in the 20's throughout December, January and February, many homes must be specially prepared to ensure comfort and safety. Frozen pipes, chimney fires and ice dams are a common problem at this time of year, as are chills and drafts that cause discomfort throughout the winter.